We understand that in order for recovering addicts to fully recover, they must heal from the inside, out: emotionally, spiritually, mentally and physically. Our years of experience have made us familiar with different paths to healing that addicts may take. Often, addicts lack the healthy coping mechanisms needed to constructively handle the ups and downs of life. As a result, their ability to creatively express themselves has been silenced, but creative therapies for recovering addicts encourages nonverbal expression through a variety of creative techniques. The expressive therapies track is one of three tracks offered by the intensive outpatient treatment program at our halfway houses. Expressive therapies include psychodrama, movement, art, sound, creative writing, sand play and guided imagery. Creative expression gives clients the confidence and self-awareness they need to grow toward their ultimate goal of sobriety. We value the capability of each recovering addict to make their approach to the recovery process unique. We strongly encourage clients to journey down a recovery path that is a one-of-a-kind as they are, discovering their maximum potential and realizing they have many positive qualities to contribute to a relationship, career, family and sober lifestyle. In order to discover these qualities, recovering addicts must awaken their creativity and communicate non-verbally to begin to heal the deepest wounds of addiction. Our expressive therapies track also offers dual diagnosis treatment to diagnose and treat co-occurring behavioral and psychological disorders. It is not uncommon for individuals suffering from ADHD, anxiety or other disorders to turn to drugs and alcohol in an attempt to self-medicate the disorder’s symptoms. Dual diagnosis treatment offers treatment for the disorder and the addiction, allowing the recovering addict to fully recover. Cognitive behavioral therapy for recovering addicts at our halfway houses. in Delray Beach, FL, helps clients identify the negative thought processes and destructive behaviors that influence their decisions and actions. These thoughts and behaviors influence the progress you make in your recovery. Cognitive behavioral therapy breaks the cycle of negative thinking and behaving destructively, allowing clients to learn and implement healthy coping mechanisms. Clients gain a support network to depend on throughout the recovery process that can provide positive feedback and encourage them to avoid situations that could trigger a relapse. Encouragement from therapists and other members of the support network helps clients avoid the negative thoughts and dangerous behaviors that occurred throughout their addiction. Recovering addicts and alcoholics are able to incorporate more positive thought patterns. Addicts often experience shame, guilt, devastation, worthlessness and other negative feelings. To cope with these feelings, individuals continue to use, which leads to a stronger addiction. Implementing positive thoughts can help clients overcome their previous feelings, gaining self-confidence and courage. Clients gain self-esteem as they grow in their recovery. Often times, lack of self-esteem can be a contributing factor to developing an addiction. Cognitive behavioral therapy helps clients gain a better understanding of themselves and a more positive self-image. When they feel better about themselves, they are less likely to self-destruct by using drugs and/or consuming alcohol. Clients learn to resist the pressure of their peers. While addicted to drugs and/or alcohol, individuals are extremely vulnerable. Cognitive behavioral therapy encourages clients to say to stay away from “toxic” people and places through practice and increased confidence. Cognitive behavioral therapy is an affordable, effective form of treatment. It is often offered as part of a residential treatment program, but, when performed on an outpatient basis, it can help reduce the cost of treatment. Cognitive behavioral therapy encourages changes that happen gradually. Clients learn new coping techniques one at a time, progressing at their own pace. Sober houses for men in Florida, such as Pathways to Peace, meet the unique needs of men as the grow in their recovery. Our tranquil, relaxing environment is the perfect place for men in the early stages of recovery to focus completely on working toward sobriety. 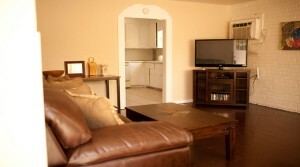 Halfway houses for men in Delray Beach, Florida, offers transitional living homes that provide safety and structure to men who are interested in living in a stable and sober environment. Located in Palm Beach County, South Florida, our sober houses help men successfully bridge the gap between treatment and independent living. We give recovering men the tools they need to construct a solid and sober foundation on which they will build the rest of their lives. Our main focuses are internal and external fulfillment. We offer men care and compassion to help them see themselves in the encouraging light of recovery. Our staff members lead by example, as some of them are recovering from addiction themselves, and give clients the courage they need to grow in their recovery journey. Recovering men, both clients and staff, are able to share similar stories of struggle and triumph, giving each other comfort in knowing they are not alone. Connections are made between the two that play an important role in the strong recovery community that Florida is known for today. These relationships will sustain clients throughout the recovery process and as they journey to sobriety. If you or an important man in your life is interested in furthering your recovery journey, contact halfway houses by calling or emailing to learn more about sober houses for men in Florida. Women progress through recovery differently than men, which is why women’s sober living in Florida is the perfect option for women interested in furthering their recovery journey. 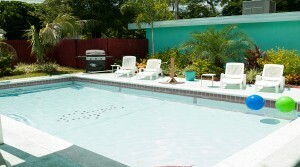 Delray Beach halfway houses for women offer safe, supportive sober living options for women and is located in Palm Beach County, South Florida. Our staff are experienced in meeting the unique needs of women in the early stages of recovery and have years of experience providing care for a variety of addictions. We seek to provide the highest quality of care in a safe, supportive environment. Through affection, honesty and understanding, we help clients build a solid foundation in recovery as they work toward their ultimate goal of sobriety. The staff members of our women’s sober living in Florida are dedicated to ensuring the safety and sobriety of each recovering woman we serve. They do so through maintaining guidelines and offering support to clients as they grow in their recovery. Our women’s sober living in Florida provides a unique balance of structure and independence as women adjust to the freedoms associated with a sober life outside of treatment. Women’s sober living in Delray Beach Florida is the perfect place for women to escape the negativity associated with their addiction and focus solely on their recovery. Florida offers beautiful beaches for women to relax and enjoy all that sobriety has to offer. Women choosing to recover in sober living in Florida are surrounding themselves with sunshine and caring individuals who support their recovery, not enable their addiction. Florida is also home to accredited universities, wonderful shopping centers, delicious restaurants and other wonderful attractions. To learn more about women’s sober living in Florida, contact our Delray Beach Halfway Houses today to get started with . Our staff members are available twenty-four hours a day, seven days a week to speak with you confidentially about what women’s sober living in Florida has to offer. Our mission at Delray Beach Halfway Houses is to support each person in their recovery and sobriety, and to help them build a fulfilling life. 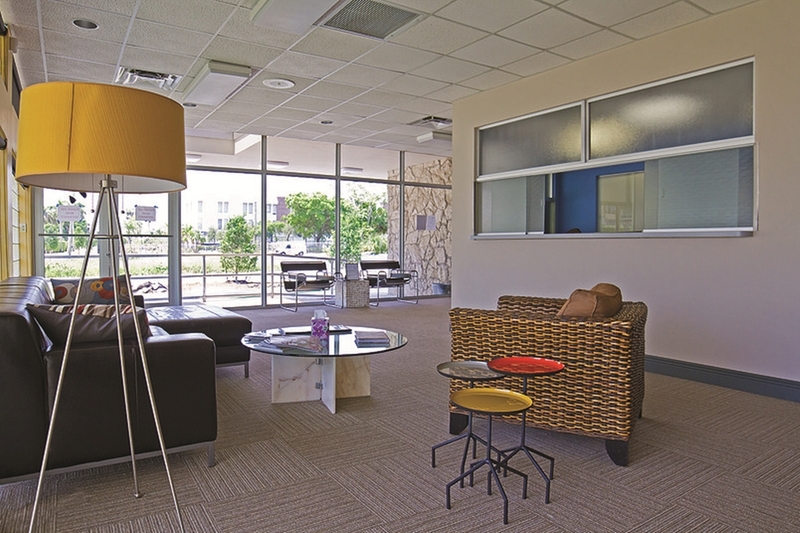 Our halfway houses provide a serene sober living environment for women and men who are committed to their recovery. Located in Palm Beach County, Florida, Delray Beach halfway houses offer the perfect place for recovering addicts and alcoholics to grow in their sobriety. Our gender specific sober transitional housing is available for individuals who have recently completed drug and/or alcohol treatment and are interested in residing in a sober environment. We are committed to helping clients as they learn to transition from treatment to independent sobriety. At our sober homes, we understand that men and women have needs that differ when it comes to addiction and recovery. Our gender specific sober transitional housing helps give clients tools they need to build a solid foundation on recovery through the 12 Spiritual Principles of recovery, which include: Hope, Honesty, Courage, Integrity, Willingness, Justice, Humility, Faith, and Love for Others, Perseverance, Spirituality and Service. Our gender specific sober transitional housing offers sober living for men and women in the early stages of recovery. We offer a strong sense of community and believe that clients excel in recovery on the premise of one addict or alcoholic helps another. Our safe, supportive environment is full of caring, professional staff members who are committed to the successful recovery of each client we serve. To learn more about gender specific transitional housing in Delray Beach, FL, contact us today by calling our hotline. Speak with a member of our staff today to learn more about what our gender specific transitional housing has to offer for you and your recovery from alcohol and drug addiction. Our site will be up and running soon. Check back in a little while and find all of the best sober living houses in Delray Beach, Florida.